Forty-two years ago today, a series of events on the other side of the world culminated in the strategic and crippling use of oil as a political weapon. As a result, the United States entered into the most devastating economic recession to hit the nation since the Great Depression. “In the 1973 oil embargo, we were looking at one of the most momentous developments and most momentous changes in the world in the 20th century in the years since the Second World War. As a result of the embargo, the United States entered into the most devastating economic recession to hit the nation since the Great Depression. The embargo was a result of the Yom Kippur war of that year, in which Egypt and Syria, with the support of other Arab nations, launched a surprise attack on Israel on the holiest day of the Jewish calendar. The purpose of this move was explicitly to catch the nation when it was off-guard. Israel went on full nuclear alert, and the United States chose to re-supply its ally with arms. The response of OPEC (or more specifically, OAPEC, the Organization of Arab Petroleum Exporting Countries) was to implement an oil embargo against the United States, which lasted into March 1974. As the war played out in the region, tensions between international oil companies and the OPEC states which held the oil reserves continued to escalate, and it became clear that the oil exporting states would demand higher prices. Late September 1973: The National Security Agency (NSA) reported sudden intensification of military signals suggesting war might be imminent in the Middle East, but the threat of actual war with Israel was disregarded. October 5: The Soviets airlifted dependents out of Syria and Egypt (a largely-overlooked signal that war was coming, in Yergin’s view). That same day, Israeli estimates given to the White House stated the probability of war was low. Yom Kippur began at sundown. October 6: The Yom Kippur War began as Egypt and Syria struck Israel. Simultaneously, in Vienna, delegations from OPEC member states and international oil companies (IOCs) were meeting to renegotiate pricing agreements. Members of international oil companies offered OPEC a 15 percent increase on the current price per barrel of oil produced. 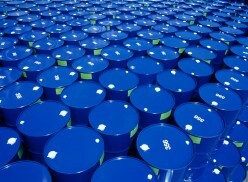 The oil exporters demanded a 100 percent increase of three dollars. George Piercy of Exxon and Andre Benard of Shell (leading the negotiating team) were unable to reply without consulting their principals in Europe and the United States. Later, the proposal was rejected. October 8: Israel, facing a surprise attack and having grossly miscalculated its supplies, received help from the United States in the form of one airplane delivering additional arms. The war continued. October 10: Soviets began a massive resupply of Syria, whose forces had begun to retreat, and of Egypt, while also encouraging other Arab states to join the battle. Meanwhile, American forces attempted to find subtle ways to send reinforcements to Israel—such as hiding them in commercial planes—in order to avoid detection. As Soviet reinforcements to Egypt and Syria became too obvious to ignore, Nixon and Kissinger agreed it would not be acceptable to allow an American ally to be defeated by Soviet arms. October 12: Richard Nixon received two letters. The second letter was from Israel’s Premier, Golda Meir, and stated that the survival of Israel and its people hung in precarious balance. Nixon was also warned by Henry Kissinger that Israel could run out of critical munitions in the next several days, and Defense Secretary James Schlesinger added that efforts to arrange commercial charters to Israel with resupply had failed. American airlines were unwilling to risk an embargo or terrorist attack. Schlesinger told Kissinger that a U.S. airlift was necessary to resupply Israel. October 13: Schlesinger agreed to an American airlift supplying Israel on the condition that they could deliver the supplies in the dead of night and avoid detection. Unfortunately, due to unforeseen wind patterns and the burden of the supplies, the airlift arrived the following morning, October 14, in broad daylight, giving the appearance of intentionally visible and active American support for Israel. October 14: Israel launched the first in a series of successful counter offenses against Egypt. Meanwhile, in Vienna, OPEC announced the failure of its negotiations with the international oil companies, and the Gulf OPEC countries scheduled a meeting in Kuwait City to resume discussions of oil prices independently of Western representatives. October 16: The delegates of the five Gulf States met in Kuwait City to continue their conversations. 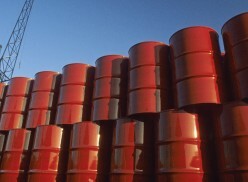 They announced their decision to increase the price of oil by 70 percent, to $5.11 per barrel. October 17: Still at the meeting in Kuwait City, the Arab oil ministers had varying opinions about how to further punish the Unites States for its support of Israel beyond the price increase (which the Arab states perceived were being siphoned by IOCs). The Iraqi delegation favored nationalizing all American businesses in the Arab world, withdrawing all Arab funds from American banks, and instituting a total oil embargo against the United States and other allies of Israel. The Saudi and Algerian oil ministers rejected this approach. The eventual outcome was a cut of 5 percent from the September production level, and to keep cutting production by 5 percent in each subsequent month until their objectives were met. Supplies would continue flowing at the same level to friendly states, but the council adopted a secret resolution that “The United States be subjected to the most severe cuts” with the aim that “this progressive reduction lead to the total halt of oil supplies to the United States from every individual company and party to the resolution.” The decision to cut production was largely seen as shrewd, because it prevented supplies from moving globally. An overall shortage that created differentiation among consuming countries maximized the uncertainty, tension, and rivalry within and among the importing countries, weakening their alliances, while also serving to inflate oil prices even further. Once the embargo was in place, what was its impact? At the beginning of November, 1973, the world was looking at a changed energy reality. The United States once boasted ample spare capacity that had prevented oil shortages in the past, but had been seeing terminal production declines, and—by this point—had zero effective spare capacity. The global oil market at the time consisted of some 50.8 million barrels per day, and global oil consumption growth was increasing at 7.5 percent per year. Arab oil supplies before the embargo accounted for 20.8 mbd, which fell to 15.8 mbd at the most severe point of the embargo. Some American allies attempted to increase production, which slightly offset the production cuts implemented by Arab states, but net loss was 4.4 million barrels per day. OPEC’s goal, to create a global feeling of uncertainty about oil supplies, was effective. It was known that importing countries were divided into “embargoed,” “neutral,” “preferential” and “most favored” based on the Arab states’ perception of them at the time, but it was not known explicitly what caused nations to be shifted from one list to another, or when the embargo would be lifted. Due to the increase in prices, the exporting nations could reduce output as much as they liked and still increase earnings. Deep rifts emerged as nations worked to distance themselves from the United States. The alliance between the United States and Japan fractured as Japan began to focus on “resource diplomacy” and reorienting its foreign policy to guarantee access to oil. In June 1973, Yasuhiro Nakasone, Japan’s Minister of International Trade and Industry, called for the resource policy of “standing on the side of the oil producing countries,” and ceasing to “blindly follow” the United States into foreign policy decisions which imperiled Japan’s access to petroleum. This dynamic worsened throughout the embargo as industrialized nations fought to distance themselves from being perceived as an ally of the United States to improve their favor in the eyes of the oil exporters. American GDP plunged six percent between 1973 and 1975, and unemployment doubled to nine percent. But here in the United States, the economic consequences were devastating. American GDP plunged six percent between 1973 and 1975, and unemployment doubled to nine percent. Both oil companies and American consumers frantically sought additional supplies of oil and gasoline—not only for current use but to prepare for feared future shortages. Global oil prices surged dramatically as companies sought to out-bid each other. The posted price per the October 16 agreement was $5.40 per barrel, but bidding drove the real prices up to over $17 or even $22/barrel as frantic traders felt overwhelming pressure to secure supplies. Fundamentally, the nation had to accept that it was not immune to resource shortages, and face the reality that oil dependence exposed our economy and security to events beyond our control. Meanwhile, consumers were stranded in gas lines and saw retail gasoline prices climb 40 percent that October for reasons which were beyond common understanding. Most of the population was unaware that the United States imported petroleum, and the lack of substitutes for gasoline left motorists hamstrung. Gasoline prices at many stations could increase as much as twice per day. Rationing measures were common, such that on alternating days, only those with odd or even numbered license plates could purchase gas, or stations were only open a few days a week. Furthermore, the constant and gripping fear that gasoline prices could rise further at any time incentivized motorists to refill their tanks at every given opportunity, even if the tank was 95 percent full. This worsened the lines, and increased general fear and hysteria. Most of the population was unaware that the United States imported petroleum, and the lack of substitutes for gasoline left motorists hamstrung. Blame focused on President Nixon, who was also wrestling with the emerging Watergate scandal and had little capabilities to restore the nation’s confidence. In November of 1973, he made a presidential address covering a wide range of energy proposals, which combined both strategies to reduce demand and the establishment of an Energy Research and Development Administration (now the Department of Energy). The scope and ambition of Nixon’s plan was unachievable—he called for American “energy independence” by 1980, a goal that his advisors were very clear was out of reach—and one which has eluded each of his successors. Eventually, the Nixon Administration was forced to ration gasoline, which conjured memories of World War II and chronic shortages of food and other essential supplies. In the face of public dissent, his aides urged him not to “allow pressures of the next month or two, based on a real and immediate shortage, seriously compounded by trendiness and news-magazine hysteria, to result in unnecessary and even counter-productive energy policies.” His advisors speculated that the cost of gasoline would eventually be viewed the same as beef prices—a continuing and routine government dilemma, but not something addressed by the President. However, the panic continued as the public blamed oil companies and the Nixon Administration equally, and general panic was augmented by general decline in the confidence of business, fear that the nation had “run out of energy,” and widespread feeling of gloom over the state of the nation. And worse, some speculated that the crisis involving oil and the Middle East and Nixon’s attempts to handle it were all political theatre to distract the nation from the Watergate scandal. Beyond American shores, the world economy also suffered. Petroleum earnings of the oil exporters rose from $23 billion in 1972 to $140 billion by 1977. OPEC member states were earning more than they could spend, and economists stressed that the tens of billions of dollars sitting idle in government bank accounts was leading to contraction and dislocation in the global economy. This fear was misguided. Ultimately, the exporters embarked on spending sprees, purchasing infrastructure, subsidies, social services, weapons, and anything else they could dream of. Vendors reoriented to provide goods and services to the flush OPEC member states, and Western industrialized nations faced a sudden disruption of supplies of everything from weapons and armaments to consumer goods. Furthermore, the hike in oil prices compounded the economic stress for the rest of the world. Inflation set in, and economic growth in the United States did not resume for three full years. On the 42nd anniversary of the OPEC oil embargo, as oil prices are at six year lows and the global oil market is in a state of glut with no end in sight, the challenges of those years seem like nothing more than a distant memory. There’s no question that, in the decades since, the global energy landscape has changed. However, one thing hasn’t changed. The reason the oil embargo was so devastating in 1973 was because oil provided 95 percent of transportation energy in the United States. Today, it provides 92 percent. In some ways, dependence on a single transportation fuel is as large an economic vulnerability now as it was 42 years ago.